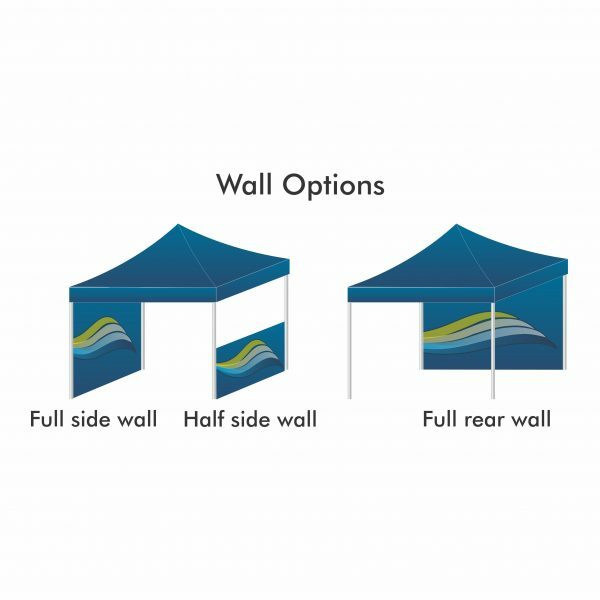 For even more brand exposure the Gazebo walls for the back and/or the sides can be made single or double sided in a full colour print. It is perfect for corporate events, school fetes, sporting club events, market stalls or anywhere a temporary shelter or canopy is required. Price includes FREE DESIGN based on your logo supplied to us in high res. Lead time is 7-10 business days from art approval.